I would love to surprise my husband with a fabulous homemade dinner made with one of his favourite meats bison. I am not too familiar with this meat. Leaning toward a ribeye and wondered if you have any suggestions on which wines might pair well. Any ideas on how best to prepare and perhaps even source these meats? I live in a rural area so there’s not too much availability in my neck of the woods. We too are fans of the various meat alternatives such as bison, becoming increasingly more popular in restaurants and more available in butcher shops. Bison (often used interchangeably with buffalo meat) is known to be leaner and less dense than beef and is widely accepted as one of the tastiest and healthiest all-natural alternatives to the traditional meats. When it comes to wine pairing, because bison has considerably less fat than beef, wines with less tannin will make for a better match. WHAT IS TANNIN? Tannins come from the skins, stems, and seeds of the grapes. As well as from the oak barrels the wine may have been aged in. That dry sensation you feel in your mouth when drinking a red wine is due to the tannin in the wine. The more tannic the wine, the more you will pucker up and feel the sensation. The reason the level of tannins are relevant when it comes to pairing red wines and meat is that tannins cut through the fat of the meat. If one is enjoying a fattier cut, such as a juicy fatty rib eye steak, opt for a big Napa Cabernet for example. 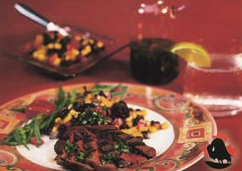 As bison is a high protein, lower fat alternative, a better choice would be a red wine with softer tannins such as a Pinot Noir, Malbec, a softer Syrah or perhaps a Tuscan Sangiovese. As far as availability goes, upon a little investigative work, we learned of a company based in Montreal that markets high quality bison. The bison is raised without the use of any chemicals, hormones or steroids. Norfolk Bison ships across Canada and offer a wide range of wild game products. There is also one recipe we would like to share with you called the “Double Bison Sirloin; Michael Jordan’s style” that includes a touch of truffle oil and would pair beautifully with a silky Pinot Noir. For more information, visit northforkbison.com. https://www.thewineladies.com/wp-content/uploads/2018/04/Screen-Shot-2018-04-15-at-11.13.40-AM.png 212 292 Susanne Seelig-Mense https://www.thewineladies.com/wp-content/uploads/2017/08/WineLadiesLogoTransparent.png Susanne Seelig-Mense2018-04-15 11:56:192018-04-16 12:25:47Ask The Wine Ladies. I love bison meat but don't know which wine pairs with it,can you help? At a recent dinner party the hostess noticed a small amount of sediment at the bottom of the bottle. It looked like tiny pieces of glass. This wine was a white one from Germany. I was a little hesitant to drink the wine however one of the guests assured us the wine was fine and there was no cause to worry. What were those little pebble-like stones and are they really harmless? You are describing pebble-like stones are commonly referred to as ‘WINE DIAMONDS’ or weinstein. This literally translates to “wine stones’ in German speaking countries. What exactly are they and how did they end up at the bottom of the bottle? These wine diamonds are actually harmless crystalline deposits that naturally separate from wines during fermentation and aging. Potassium acid tartrate, the potassium salt of tartaric acid is the major component of this sediment. 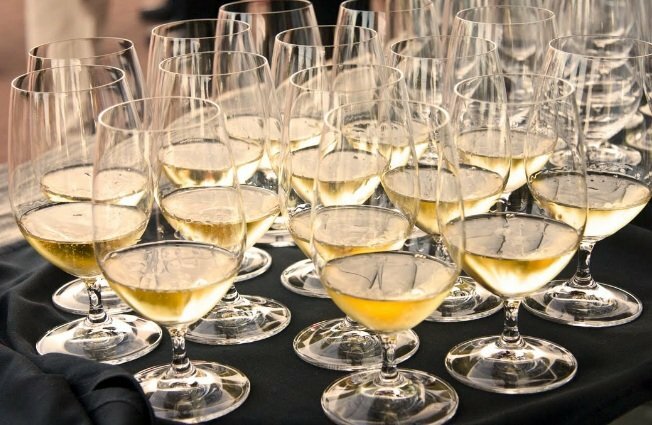 The presence of tartaric acid, along with malic acid, are very important in winemaking as they help provide good structure, fruit flavors, crispness on the palate and an increased lifespan of the wine. The majority of winemakers today recognize that the consumer is alarmed or put off by the presence of these crystalline deposits even though they are harmless. Rather than educating the public, many wineries employ a process called ‘Cold Stabilization’ prior to bottling. This involves chilling the wine to just below zero degrees, causing the potassium bitartrate to crystallize. The wine is then filtered and bottled. Having the wine undergo this process prior to leaving the winery assures a clean filtered wine with no sediment. In cases where the wines do not undergo cold stabilization at the winery, this precipitation of the tartrates could happen during cold weather transport or cold storage conditions in one’s cellar. https://www.thewineladies.com/wp-content/uploads/2018/02/AskTheWineLadiesCommunityCaptured.png 265 362 Susanne Seelig-Mense https://www.thewineladies.com/wp-content/uploads/2017/08/WineLadiesLogoTransparent.png Susanne Seelig-Mense2018-02-07 21:07:012018-02-22 16:33:27Ask The Wine Ladies - Is the sediment at the bottom of the bottle all right to drink? We have guests visiting from London this summer and we were thinking about doing a one-day bicycle wine tour in Niagara-on-the-Lake. We’d love to show off a few of our wineries. Just wondering if you’ve done any of these tours and might have some thoughts to share on your experience. Yes, we have had the opportunity to enjoy a winery tour on wheels and would highly recommend it. The best way to share our thoughts on this is by recounting our personal tour experience of last summer. We booked through GRAPE ESCAPE WINE TOURS. They were kind enough to give us a personalized guided “ride”. Grape Escape Wine Tours has been awarded the TRIP ADVISOR’s Certificate of Excellence for 5 years running. It is family owned and operated and obviously do a fabulous job. They offer a great variety of guided wine tours for single participants, small groups, larger groups, either on foot, in a vehicle or on a bicycle. What a glorious day for a bike ride. The sun is shining brilliantly, there is a gentle cool breeze wafting through the trees and my shorts fit! Hallelujah! Niagara wine country here we come for our inaugural, abbreviated bicycle wine tour – we are excited! It’s been a very hectic summer thus far and we are looking forward to experiencing a little relaxation, sunshine, stunning scenery, some wonderful wines, and just a tad of exercise. We are teaming up with Grape Escape Wine Tours for a private and privileged tour, on which we’ll visit three wineries, to sample a red wine, a white wine and an ice wine. The plan is to have a full facility tour at one of the wineries and enjoy a wine and cheese tasting to close off the afternoon. On this excursion, we will peddle close to 8kms at a leisurely pace, returning to our base camp in just under 2.5 hours. For those who might like to consider a bicycle wine tour, the typical Grape Escape Wine Tour “afternoon bicycle tour” is lengthier. It is closer to 5 hours (12kms) and includes 4 wineries instead of our 3. Our rendezvous point is Kurtz Orchard Farm & Marketplace where we are to meet our guide, get fitted with our bikes and our helmets. It turns out Kurtz is the perfect place to meet. The grounds are beautiful with an abundance of lush greenery, towering trees, glorious wild flowers, a quaint bridge over looking a small pond… the setting is an inspiration and quite suitable for even Monat or perhaps Sisley! We are feeling relaxed and invigorated already. Jacquie who will be our guide and we love her right from the start. She is full of zest, she suits us up, we test drive the bikes – it is all systems go. Off along the Niagara Parkway we go full of enthusiasm. 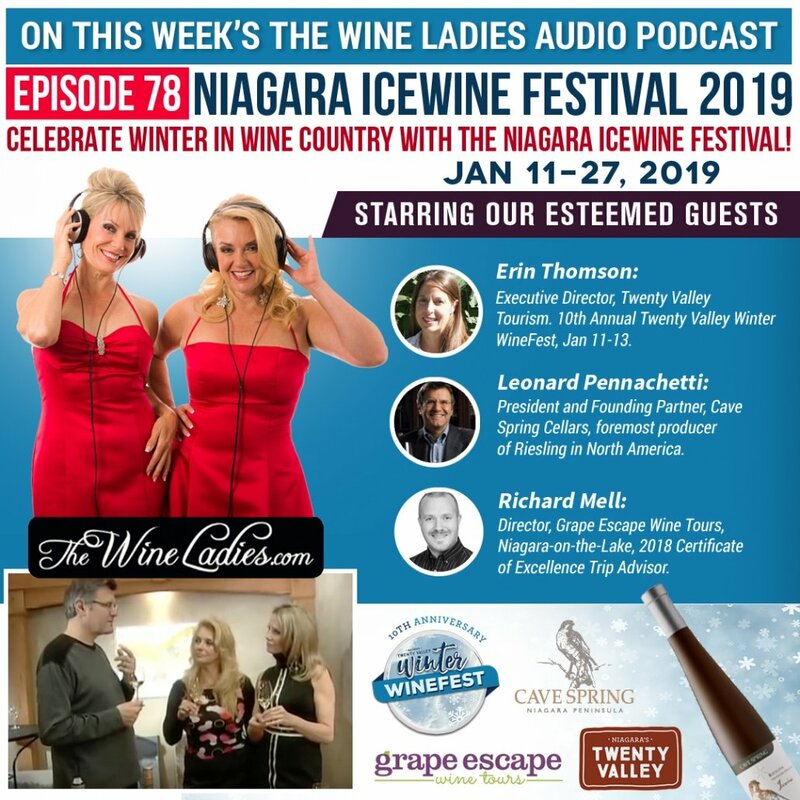 There is a sense of the local beauty and bounty NOTL has to offer, with vineyards in view and fruit orchards dotted along the way, with rows upon rows of pear trees running parallel to our path. After a relaxing and scenic several kilometer ride, we arrive at our first winery. Here is a snapshot of the 3 wineries we enjoyed on our tour. This may or may not be the itinerary for the next group, or individual’s tour, as Grape Escape Wine Tours has a broad roster of wineries that they mix and match accordingly. 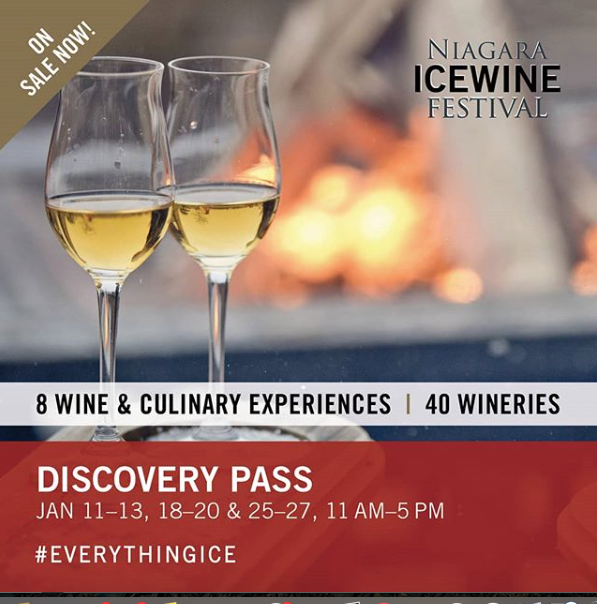 They also have introduced several new tours this year including their “Ultimate Wine, Beer & Foodie Bicycle Tour”, as well as their “Wine, Beer & Tapas Vehicle Tour”. We thoroughly enjoyed our tour. Next month we will report on the 3 wineries we visited – Inniskillin Wines Inc., Pondview Estate Winery and FrogPond Farm Organic Winery. Stay Tuned! 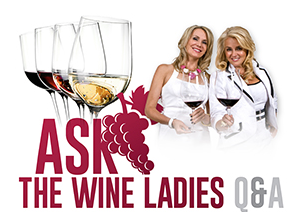 https://www.thewineladies.com/wp-content/uploads/2018/02/AskTheWineLadiesCommunityCaptured.png 265 362 Susanne Seelig-Mense https://www.thewineladies.com/wp-content/uploads/2017/08/WineLadiesLogoTransparent.png Susanne Seelig-Mense2018-02-07 15:46:112018-02-28 16:41:18Ask The Wine Ladies - Can you recommend a bicycle wine tour to Niagara-on-the-Lake? David Paxton best describes how a wine may be impacted by biodynamic practices. “Biodynamic is the most advanced form of organic farming. We use natural preparations and composts to bring the soil and vines into balance, resulting in wines that truly showcase our McLaren Vale vineyards.” A few examples of this is the incorporation of bee hives in the vineyards which improves grape pollination, and the use of cow manure as a compost that comes exclusively from Paxton’s own small herd of cows. Why? Because manure tainted with chemical intestinal worm treatments make poor compost and their own cows will ensure the integrity of the compost. 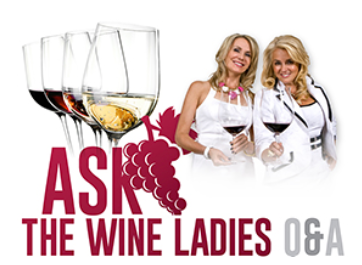 https://www.thewineladies.com/wp-content/uploads/2018/02/AskTheWineLadiesCommunityCaptured.png 265 362 Susanne Seelig-Mense https://www.thewineladies.com/wp-content/uploads/2017/08/WineLadiesLogoTransparent.png Susanne Seelig-Mense2018-02-07 15:29:352018-03-20 09:04:10Ask The Wine Ladies- What is the difference between Organic and Biodynamic wine? I’d like to wish you a Happy New Year. Thank you for spreading the joy of wine throughout the year! Once again as we head into 2017 I have a question for you. How do we lose the extra five pounds we have been gifted and still enjoy an occasional glass of wine? Which wines are the least caloric? Happy New Year to you as well and we must confess, we too have been similarly gifted! Here’s the good news, if it is only an occasional glass of wine, and time is not of the essence, the additional 100-125 calories/ 5 ounce glass shouldn’t impede your progress too badly. In fact, there are many diets out there that actually allow for an occasional glass or two such as Weight Watchers and L.A. Weight Loss. Even the popular ketogenic diet has a place for vino says Dr. Dominic D’Agostino of Keto//OS. In fact there is one company, Dry Farm Wines, deemed “ketogenic friendly” that we are looking at bringing in, so keep an eye out for that. We would order cialis from uk like to offer a word of caution though, if you are anything like us, we tend to bring out the assortment of cheeses, dried fruit and nuts to accompany our wine. This behavior is definitely better reserved for post diet times. In fact, studies show that total consumption of calories tends to go up when an aperitif or two precedes or accompanies the meal. 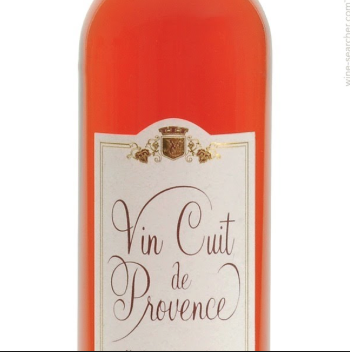 Finally we are often asked if the driest wines are the least caloric. Actually the ideal choice is to select wines that are both dry and lower in alcohol. Percentage alcohol is definitely a determining factor when it comes to caloric content. Opt for wines that come from cooler climates such as Germany, Austria, New Zealand and Ontario to name a few. Cooler climate regions tend to produce lower alcohol wines that are 12% or 12.5% , and Germany has one as low as 9%. If you’d like to learn a little about our keto//OS that keeps us in ketosis, you can visit us here too – www.thewineladies.pruvitnow.com. WE’D LIKE TO WISH EVERYONE A HEALTHY AND HAPPY 2017! Ask The Wine Ladies as read in Community Captured.